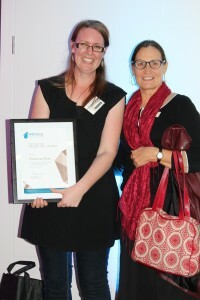 Rebecca Shaw is the recipient of this year’s WATESOL award for excellence in TESOL studies at Curtin University. 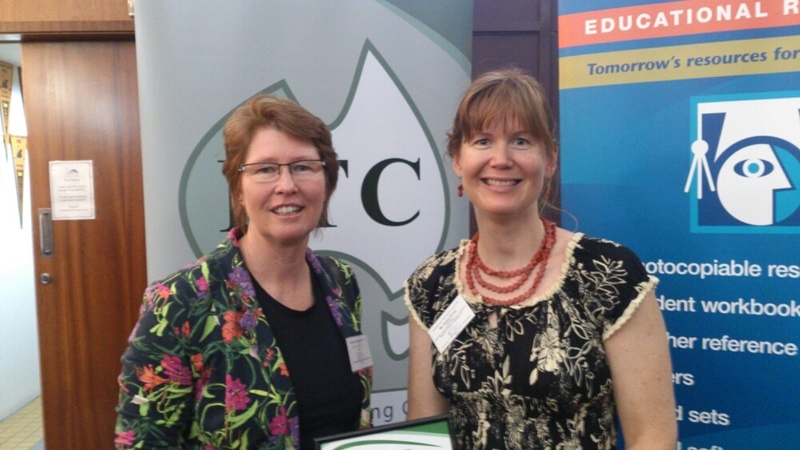 The photo shows Rebecca receiving her award from WATESOL committee member Tessa Burrows. Australian Literacy Educators’ Association (ALEA) provides information for teachers, educators and others that can be found on their website. One interesting section is called ‘Hot Topics’. Two articles currently available are written in response to current educational debates or concerns in Australia. The authors discuss the relevance of ‘Indigenous Australian’ theme in the Australian Curriculum with a particular focus on the area of English. This is in response to Education Minister, Christopher Pyne’s comments in January 2014 about a review of the Australian Curriculum and the necessity to have themes. They outline how the theme ‘reconciliation’ can be taught through the sub strand ‘Language for Interaction’ where acknowledgement rather than participation in ‘otherness’ is the outcome. They provide a brief outline of a series of lessons that can be used to promote this by using a range of literary texts. This article is written in response to the debate about the return to ‘phonics’ based teaching to solve our students poor literacy scores in NAPLAN and other tests. The author addresses this point by saying “…the 15 year olds who underperform on the PISA or NAPLAN know their sounds.” (page 2) She suggests that these students are performing poorly because they can’t comprehend the written text. Reference is also made to the EAL/D students where English only is spoken and written at school. It is up to the school to teach English. As the number of non English speaking students entering our schools in Australia grows, schools are finding it difficult to ensure that these students get equal access to the learning that goes on at school. The ‘phonics v whole’ debate is distracting schools from the real reason the students are struggling, she suggests. The value of rich literary texts and the importance for teachers to have a strong understanding of English grammar is necessary to promote meaningful teaching. 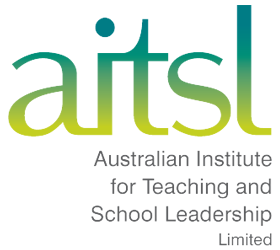 WATESOL is offering one current financial member, financial assistance to attend the 2014 ACTA conference. WATESOL will provide assistance to the value of $1000 for conference fees, travel and accommodation only. Any surplus costs are to be met by the participant. The successful applicant will be required to share their experience with members through a presentation at a WATESOL event and an article in TESOL Links. Selection will be made by the WATESOL Committee and no correspondence regarding the decision entered into.The successful applicant will need to submit travel and accommodation quotations for WATESOL approval prior to payment. A maximum of $1,000.00 will be paid by WATESOL. Any surplus will be paid by the applicant. Please fill in the application form below and forward to WATESOL. Applications must be received by Monday, 26th May 2014. TESOL assessment and the feedback cycle • Teacher assessment and data management • Educational simulation and language games • Motivating EFL students • Multimedia and distance language pedagogy • Strategies for integrating the macro skills • Globalising TESOL and setting up a virtual learning environment • Networked resources and language pedagogy. Critical Issues in Teaching and Testing Real Language • Developing and Measuring Real Language • Teaching and Testing Real Language • Needs Analysis • Program Evaluation Research: Planning, Implementation and Evaluation • Facilitating TESOL students’ speaking opportunities • Tablet PC and Smart Phone-based language pedagogy • Using CLOUD technology • Developing intercultural literacy • Facilitating TESOL students’ speaking opportunities • Deepening language learning through multimedia pedagogy • Improving listening and speaking • Culture and language pedagogy • Teachers: Teaching and Testing; Policy, Methods and Assessment Fostering Professional Self-Development This is the conference with a difference where researchers, academics and teachers join together in conversation. We’re looking to showcase, explore and share the most exciting and empowering new developments in TESOL. We encourage you to submit an abstract by 30 June 2014. We are looking forward to meeting you in Ankara, Turkey in July! The 2013 Kate Mullin Teacher Award was awarded to Adriano Truscott (pictured) of Wiluna Remote Community School. The award was for excellence in improving language and literacy of Aboriginal EAL/D students and was open to all teachers and educators in WA. The criteria were developed and the submissions were judged in conjunction with WATESOL – in the persons of Sophia Sabatier, Patsy Konigsberg and Belinda Stewart. 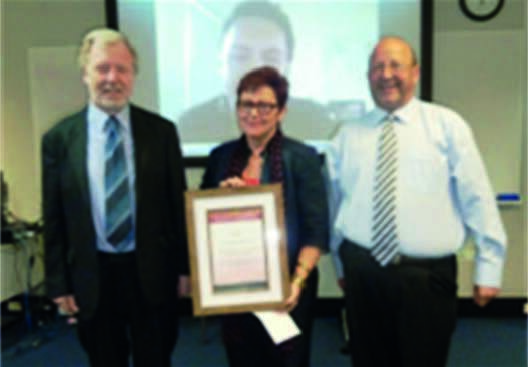 Indeed the award ceremony was held as part of the WATESOL annual conference & AGM at the Institute for Professional Learning in October 2013. Also part of the ceremony were Ken Mullin, chairperson of the Kate Mullin Association (KMA), Michael and Julie Jacobs of the Lindsay Cozens Trust who kindly sponsored the award, and Sophia Sabatier of the KMA who headed the judging panel. Unfortunately Adriano couldn’t make it in person to the event, but was available on Skype as the photographs show. • Improved student outcomes in language and literacy. Adriano has mentored, coached and facilitated the learning of the school staff in the areas of EAL/D pedagogy and two-way learning. He has aligned these two pedagogies with the content of the Wiluna Literacy strategy. From Kindy to Year 12, he has developed a range of multi-age lesson plans, rubrics and resources. His Principal believes that the school is leading the way in the region in their use of the EAL/D progress map and that students have benefitted enormously from this coherent and targeted approach to language learning. • Links with Aboriginal families and community to improve student engagement. Adriano constantly sits and talks with students and their families within the community – both during and after school. 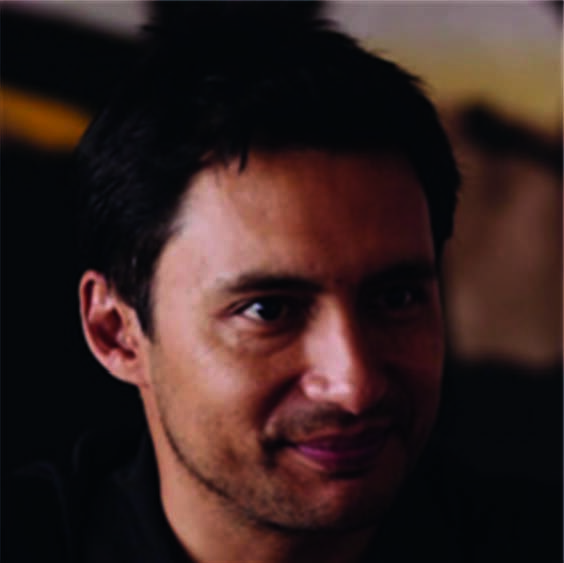 He is involved in the team that is developing awareness of working in the ‘Between World’. This team comprises some teachers and Martu people from the region and they have worked to understand a new way of working two-way at Wiluna school. The community considers this to be a key element of success at their school. • Awareness, recognition and valuing of home language/dialect and culture. This is evident in Adriano’s work, both at Wiluna, and before he went to Wiluna in the “Tracks to Two-Way” learning project. He was also one of the five authors of the “Understanding Stories My Way: Aboriginal-English speaking students’ (Mis)understanding of school literacy materials in Standard Australian English (SAE)” publication. He now models this and shares this knowledge with the staff on an on-going basis, ensuring that the understandings that the teachers bring to the classroom are broader and inclusive of Aboriginal ways for thinking and learning. • Development of rapport with students. Adriano’s Principal affirms that he has taken the ‘shame’ out of the classroom. Recently, he included two students in the staff curriculum planning session and they contributed openly and actively to this session. Wiluna Remote Community school has seen clear improvement in the students’ literacy in, and language use of, SAE since Adriano’s arrival and it is for this reason, and for all those mentioned previously, that he is the recipient of this important award. Here is a link to illustrations of exemplary teacher practice in EALD classrooms that were filmed in Perth. The videos cover examples from both the primary and secondary sectors. Congratulations to the teachers and schools involved. Khalin Driver, former WATESOL president, received the PTCWA award for outstanding service to a volunteer association.